When considering real estate as an investment, GTA residents know that one of the fastest-growing property types are condominiums. But is a condo a wise investment? Consider the advantages listed below. 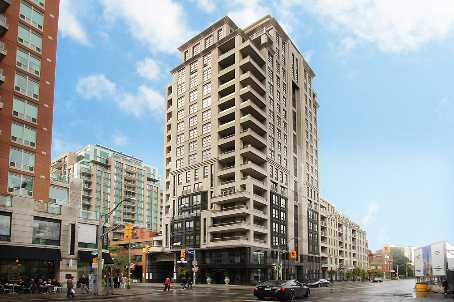 • You can purchase in a prominent area, such as Yorkville or Forest Hill, for a fraction of the price of a house. • Condos are usually easier to rent and find tenants. • Maintenance is minimal. With onsite management, there is less grunt work for you to do. • You can generate rental income to help carry the costs of owning the property, as well as capital gains income through the appreciation in market value of the property. • You can choose to purchase from popular and well-branded development projects to add long-term value, thus further securing your investment. With all of these advantages, are there any downfalls? As with all investments, the simple answer is: yes. The first drawback is the difficulty in obtaining financing. If you are looking at purchasing a property, you need to ensure the rent charged will offset the costs of carrying the property. Depending on the lender you use to service the mortgage on the property, you may be subject to anywhere from a 50% to 75% gross rental adjustment. This means the bank will discount the actual rent charged by 50% to 75%. Example: In a scenario where you have a tenant in place willing to pay you $2,000/month, and your mortgage payment is $1,000/month, plus $200/month property taxes and $325/month in condo fees, even though you are making $475/month, the bank you apply with may use a 50% gross rental adjustment, resulting in a net loss by their measure. Therefore that bank will not approve your mortgage. The second disadvantage is that some lenders will charge a higher rate for financing a property that is not the primary residence of the applicant. Because of the potential higher rate of interest, it is very important you consider the location of the condo investment, and whether the average rate of market value appreciation expectancy will at least partially offset the interest rate it will cost you to carry the investment. Finally, your investment condo may become subject to a “special assessment”. A special assessment would happen if the condo building had major renovations or repairs to pay for. The condo corporation will make the decision on behalf of the condo owners whether to move forward with the projected repairs or renovations. If the condo corporation decides to move forward, they will pass the cost onto each condo owner proportionately by increasing the common area expenses. As the owner, you may need to increase the rent you charge the tenant in order to cover the increase in fees. At which point, you could lose your tenant based on the increase in their monthly rent. Higher monthly common area expenses may also make it more difficult for you to sell your condo at a higher price than before the increase. Putting your money to work requires strategic analysis and in depth research. Get to know your own investing personality. Your age, income and financial obligations will help in determining the right amount of investment you could afford to make and risk. Decide what is more important to you, rental income to subsidize your current lifestyle perhaps, future capital gains potential or a combination of both. Ultimately, a condo can be a great investment and help in securing that future you’ve always dreamed of, but remember these four key points: consider the risk and your tolerance; what your investment needs are; do your own research; and involve an industry professional, such as a realtor and/or mortgage broker. Source: Sandra Grywul – Condominia Magazine Inc.